Few cities are more photogenic than India’s Pink City, Jaipur, nor locations more appropriate for a travel photography festival celebrating sheer, unashamed wanderlust. 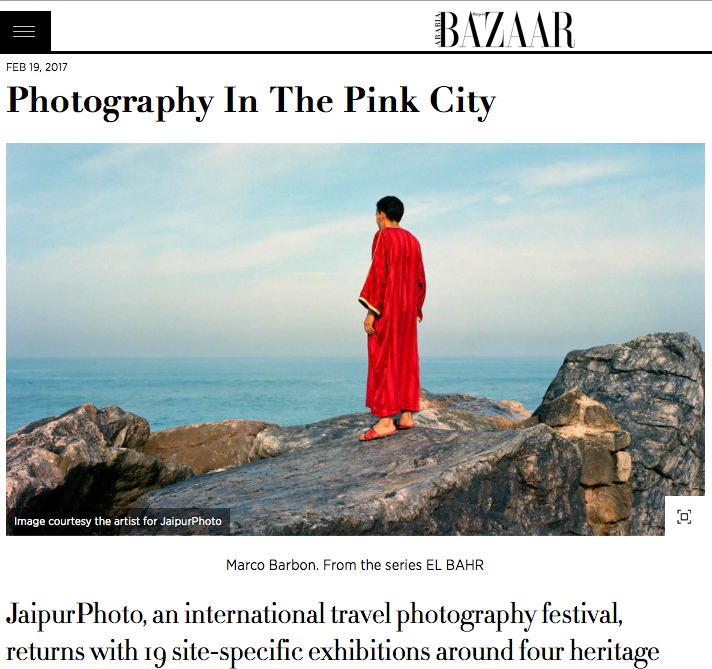 JaipurPhoto, formerly Travel Photo Jaipur, takes the form of 19 site-specific exhibitions held around four of the city’s heritage buildings; the Hawa Mahal, the Jawahar Kala Kendra (JKK), the Albert Hall Museum and, a new location this year, the City Palace. The organisers want to encourage a different viewing of photography by showing large-format prints outside and in public places, befitting the adventurous, raw spirit of the subject matter and the grandeur of the surrounding architecture. The festival, headed by Artistic Director Lola Mac Dougall, is a collaboration between Orange Cat Productions and the Government of Rajasthan’s Department of Tourism. This year the photography critic and curator, Federica Chiocchetti of the Photocaptionist, joins as guest co-curator. To read the full article click here.